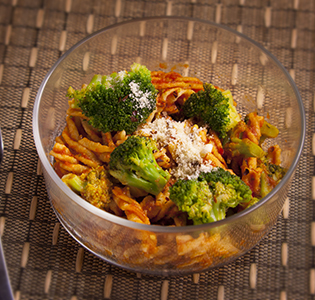 This is one delicious broccoli pasta meal that is quick to prepare and, most likely, all the ingredients are already in your refrigerator or pantry. 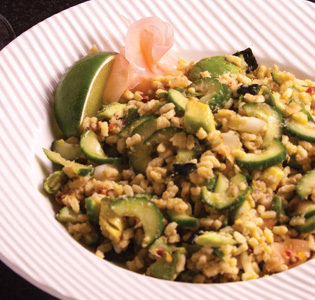 This California roll is a delicious blend of soy and ginger-infused orzo, while creamy avocado and crisp cucumber make this a cooling and nutritious dish. 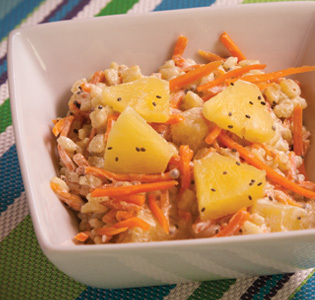 Sweet carrots, pineapples and creamy orzo make this breakfast taste like dessert. Cinnamon and nutmeg warm up the flavor to get you going in the morning. If you cook the Zone PastaRx the night before it only takes 5 minutes to prepare in the morning. 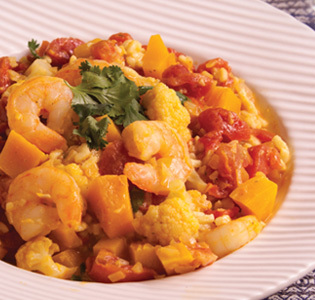 Ginger, tomato, and butternut squash is slightly spicy, but cool and creamy. 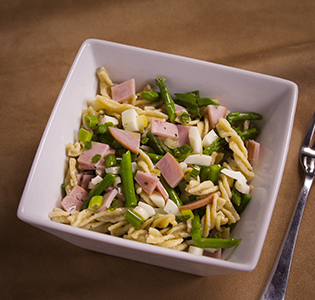 This dish is excellent as a hot entree or as a cold salad. 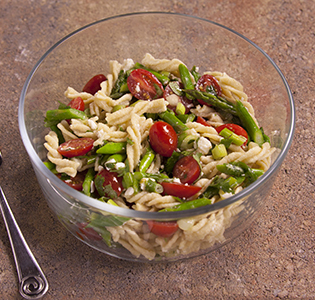 Fresh spinach, mozzarella, and diced tomatoes make this a meal that can be enjoyed all year long. 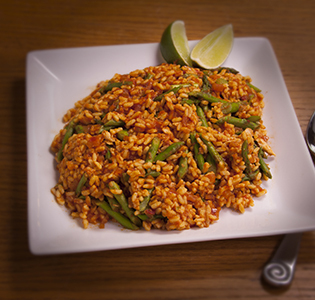 Salmon and asparagus never tasted so good after being combined with Zone PastaRx Orzo and a little heat from chili and lime. 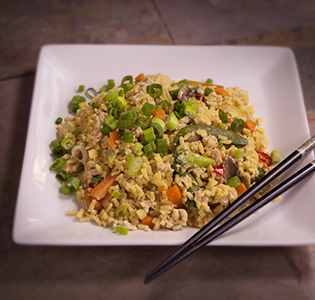 No need to call for take-out with this Chinese inspired dish. Want a little more heat? Add some Tabasco. 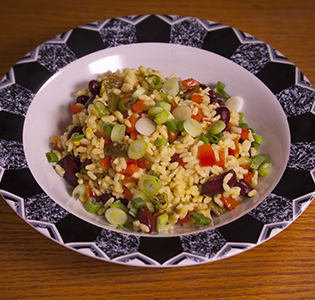 The Orzo is remarkably versatile and is a staff favorite, always popular at lunch time. For a quick and easy meal cook everything in the morning and put in the fridge. Prepare and assemble when you want to eat the meal. 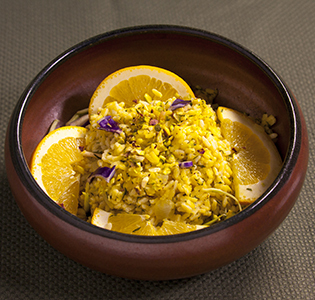 This colorful dish is sure to engage the senses with the infusion of tangerine. 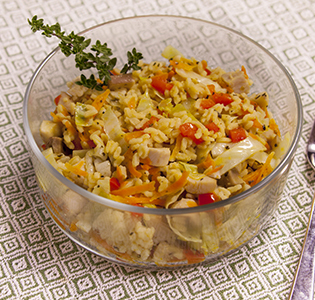 Getting all your veggies in was never so easy with this combination of Zone PastaRx Orzo and chopped vegetables. 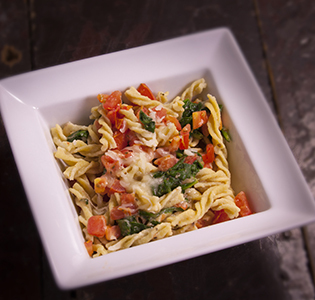 A trio of cheeses and chopped apple to compliment our Fusilli PastaRx. Warning: You may have to stop yourself from licking the dish clean. 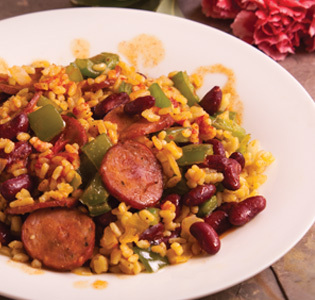 A taste of the South: Kidney beans and bell peppers with hot sauce and chicken sausage add a hearty kick to this orzo pasta dish. Citrus, almond and vanilla remind you of your childhood days of running after the ice cream truck. 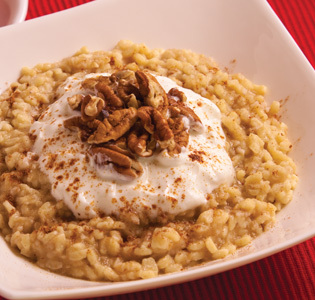 Start your day with this creamy and light breakfast. If you cook the Zone PastaRx the night before it only takes 5 minutes to prepare in the morning. 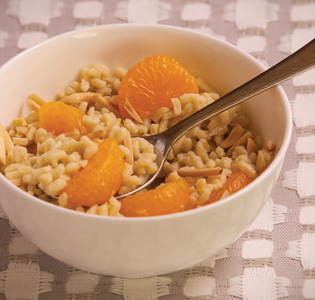 Apple sauce and pumpkin pie spice turn this Zone Pasta Orzo recipe into a fragrant warm breakfast, perfect for any morning. 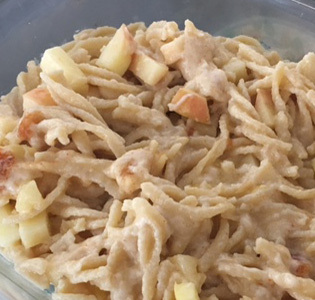 Only 5 minutes when you cook the pasta and oats the night before. 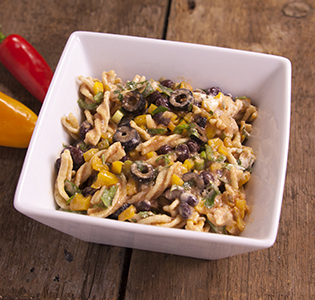 A fresh summer salad tossed with a light Asian dressing. 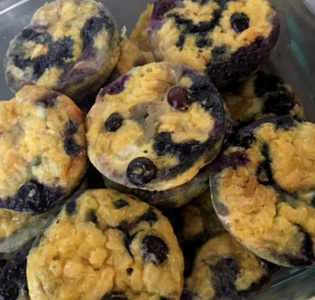 These fruity egg muffins are terrific for a quick and tasty snack and contain only orzo, eggs, banana, blueberries and cinnamon. Bake in the oven and enjoy.